Worked at Barnes Mill, Farnworth and Dysons Mills, Kearsley, leaving at the start of the Second World War to work in a North West Ordnance factory. He spent the rest of his working life in the cotton industry. Vice Chairman of the Civil Defence Committee. He qualified as an instructor in Civil Defence training ARP volunteers. He was Secretary and organizer of Tariff Reform and the Imperial League. He was awarded a certificate, bronze medal and gold cross for special merit. He was on the Board of Management at Farnworth and Kearsley Cooperative Society for 14 years and was a member of Farnworth and District Hospital Saturday Committee. 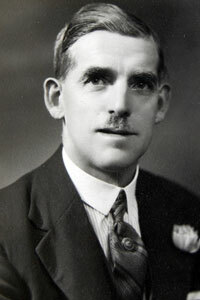 He was a pioneer of the ex-servicemen's movement. 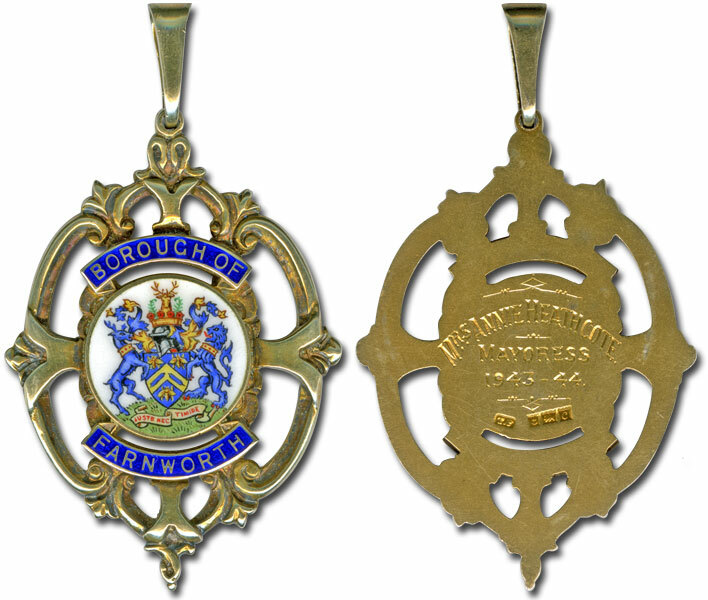 Gold and enamel medallion presented to Annie Heathcoate as past Mayoress of Farnworth.